Recipients of the "This is Digital Learning Webinar: Digital Learning" badge explored implementing new technologies to improve learning. The technologies and teaching course may include in-class activities, classroom analytics, classroom management and more. This individual has studied best practices that can be incorporated into a course for a better teaching and learning experience. 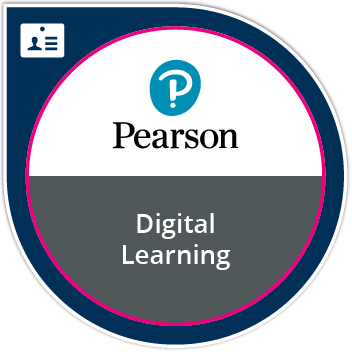 Attend Pearson's "This is Digital Learning" live webinar session.